Certain California microgrids are in for trouble due to rules and regulations in the state that could boost costs and render them uneconomic, according to Alex Porteshawver, distributed energy policy manager for the Center for Sustainable Energy. The challenges apply to California microgrid projects on non-adjacent properties or projects that require distribution lines, she said. 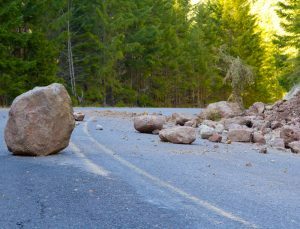 The roadblocks were uncovered by the city of Berkeley, as part of an “innovative and bold” microgrid project called the Berkeley Energy Assurance Transformation (BEAT) project, said Marna Schwartz, sustainability coordinator, city of Berkeley. The initial goal was to create a “fully-connected, multi-building, clean energy microgrid community in an urban context,” said Schwartz. The city wanted to share solar photovoltaic generation and energy storage among multiple buildings that aren’t adjacent to one another. However, the city abandoned that project in favor of a multiple solar-plus-storage projects because it was financially unfeasible due to two rules and regulations, said Porteshawver, who worked on the project. First, a section of the California Public Utilities Commission code, Section 218(b), limits the ability of project owners to distribute power to buildings on non-adjacent lines, said Porteshawver. “The city wanted to share power between two buildings a half a block apart, and it’s not currently allowed,” she said. Known as the over-the-fence rule, Code Section 218(b) prohibits non-utility entities from distributing electricity generated on one property to more than two adjacent properties or to a non-adjacent property. The goal is to protect utilities from competition, she noted. Second, the city encountered California Electric Rule No. 2, which allows investor-owned utilities to levy on customers a “cost of ownership” charge that aims to recover the expenses for new grid infrastructure that supports the customers’ service. It’s unclear which microgrid components are included in this charge. 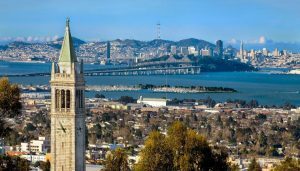 “In Berkeley’s case, it would be more expensive to pay this charge than pay for the cost of the microgrid,” she said. Berkeley would have to pay for the new lines at a cost of about $1 million a mile, plus pay to have them transferred to the utility, said Schwartz. There would be a one-time transfer fee of 24-34 percent of capital costs. Plus the city would have to pay the utility to maintain and operate the lines at a rate of 6.5 percent of the capital costs, indefinitely. “The operation and maintenance costs alone would equate to more than the total projected capital costs of the BEAT project after about 15 years,” said Schwartz. In addition, the uncertainty about where the rule applies, how to calculate the charge, and when it should be paid, all create challenges for microgrid developers, said Porteshawver. No microgrid tariff or electric rate exists that recognizes the value of power sharing among multiple customer accounts or meters. Nor are there tariffs that recognize the benefits of California microgrids being able to island when the main grid goes down, she said. Due to the challenges, the city decided to create numerous solar-plus-storage projects, instead of the microgrid, said Porteshawver. “The solar-plus-storage is at single facilities, a lot of cities have done this,” she said. These projects can be used to reduce demand during peak times and will hopefully be able to island from the grid and use energy storage to provide emergency power, she said. Schwartz said that the solar-plus-storage provides many of the same resilience benefits without the costs of building and maintaining the distribution lines. “An advantage of solar-plus-storage at individual sites is that the chosen key facilities do not need to be located near one another. Therefore we can expand our analysis to include additional buildings that might be good candidates for solar-plus-storage. We are looking into different ownership and financing options for solar-plus-storage such as power purchase agreement. We will also reach out to other community-serving businesses and institutions in Berkeley to see if they might be interested in participating in a larger solar-plus-storage portfolio of buildings,” Schwartz said. At the same time, microgrid proponents point out that a solar plus storage system offers limited customer benefits compared with a microgrid. A microgrid can include multiple forms of generation, beyond just solar, to leverage costs, lower emissions, and ensure the lights stay on when the grid goes down. 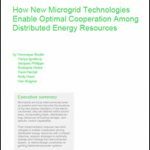 Advanced microgrids also manage the electric load of buildings to achieve higher efficiencies and leverage energy use based on changing grid prices. They can provides services to the grid, such as frequency response and demand response, which provides a revenue stream for their owners. They also point out that without advanced inverters or microgrid controllers, a grid connected solar system stops producing power during a grid outage. Installing islandable solar plus storage systems, however, could act “as a first step toward” toward a community microgrid, which can be built later as upgrades are made, the case study said. The BEAT project was intended to be “innovative and bold,” said Schwartz. The BEAT project was intended to be “innovative and bold,” said Schwartz. The goal was to research the potential to connect individual buildings across a few blocks within the existing city and utility infrastructure. The project revealed the challenges for microgrid development. “We worked creatively with the local utility to come up with innovative solutions. We analyzed ways to use the existing distribution lines, different metering configurations to allow the buildings to share power, ownership and financing models, and the development of a new resilience tariff. We now have a better understanding of what is possible and are excited to share our knowledge from this research,” said Schwartz. One solution, said Porteshawver, would be to initiate a new California Public Utilities Commission proceeding and create a microgrid tariff that outlines a clear interconnection process and recognizes the value of microgrids. Meanwhile, her organization is involved in SB 1339, a bill making its way through the California legislature, which aims to increase the resilience of the electric grid. 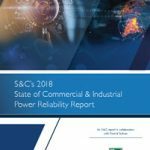 It recognizes the benefits of microgrids — that they’re a potential source of backup generation and supply during outages. It would require investor-owned utilities to develop a standardized interconnections process, tariff, and guidelines for microgrids, according to a summary of the bill. The Senate bill passed the appropriations committee in a unanimous vote on August 16. Microgrid Knowledge will host Microgrid 2019: Shaping the New Electric Grid in San Diego, California on May 14-16.